The link between Shadow War and Necromunda is so strong, you can bring Spyrers and a whole lot more into your modern games! 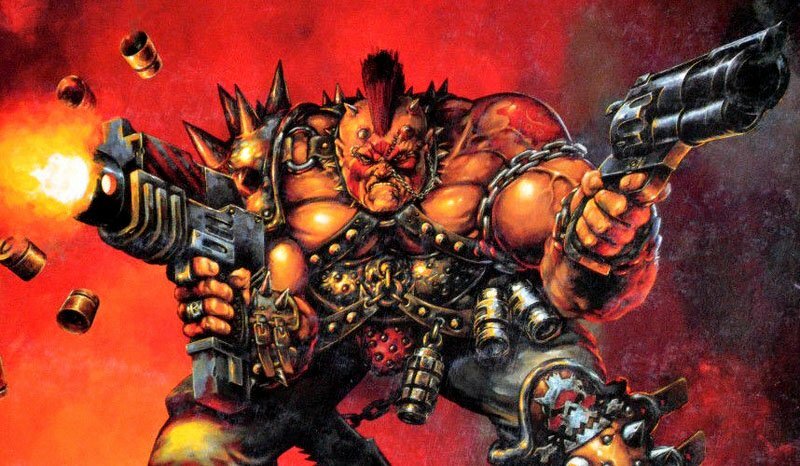 GW themselves have noted that you should be able to roll up old school Necromunda Gangs and use them with the new 2017 Shadow Wars Armageddon system. We’ve taken a look and indeed it looks like it should all work out just fine. Both games use the same 1000 Credits/Guilder system to build your Killtream/Gang. The stats are consistent as are the relative power levels of the weapons in both systems. The new Shadow Wars Armageddon system is cleaner with an emphasis on speeding things along. 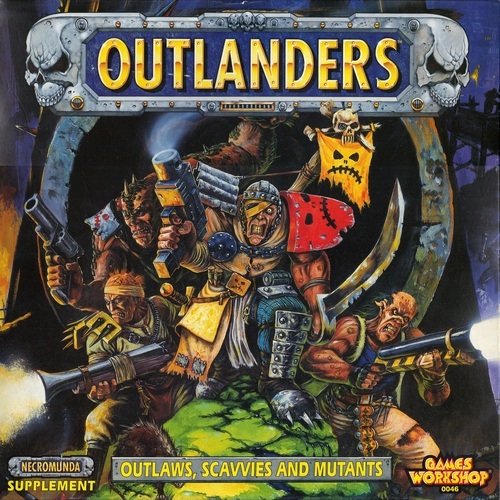 The old Necrmunda gameplay is slightly more complex, with a much more granular and evocative low tech campaign system. 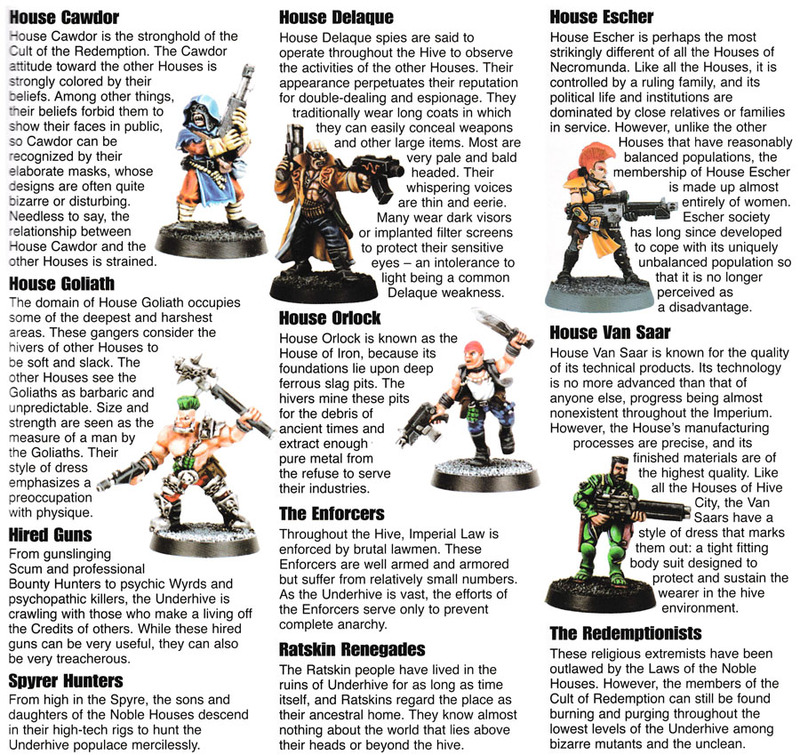 But the cool thing is that the default six Necromunda gangs aren’t the only thing that you should be able to bring over into the new game. Spyre Hunters – The arrogant nobles from the spire’s upper levels coming down to hunt the common folk in the underhive using thier exotic ultra high-tech hunting suits. Scavvies – irradiated mutants from the darkest depths of the Underhive and the Sump. They have unreliable gear, can eat their own to stave off lean times but they DO bring the mutated muscle when they need to. Redemptionists – Zealots from the depths of the hive. If you love religous fanatics, oversized chainsaws and fire – you really need to attend a monthly meeting with your new brothers and sisters. Ratskins – Normally quiet natives completely at home in the dark depths of the hive, Ratskins will strike out agressively (and silently) when they feel the outside world is encroaching on their naturalistic way of life. Now will it just magically work – not quite. But it’s nothing that any gamer worth his salt couldn’t fix in 10 minutes. The Spyrers don’t hunt for Promethium Caches/Territories. They have an quota of fresh kills to acquire before they can ascend back into the heights of the spire – or die trying. 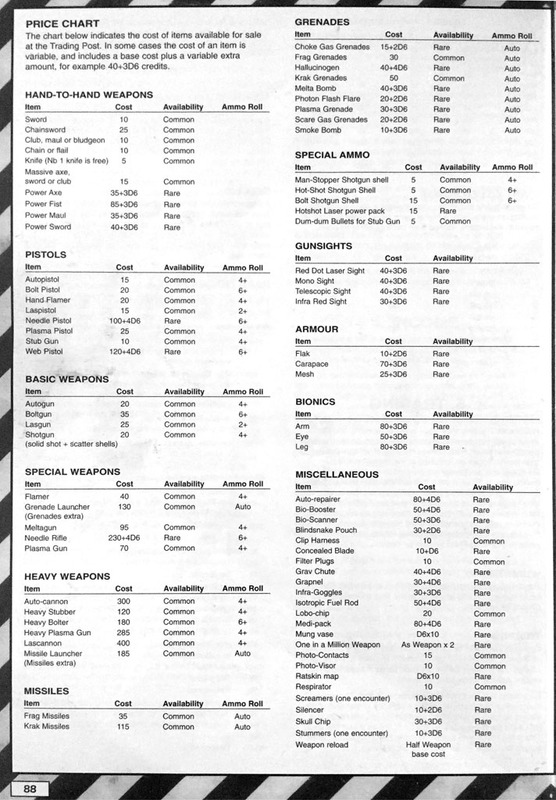 You will need to use the old Necromunda Equipment & Weapon charts for the old Necromunda gangs to feel correct, but they should transfer intact to the modern system. 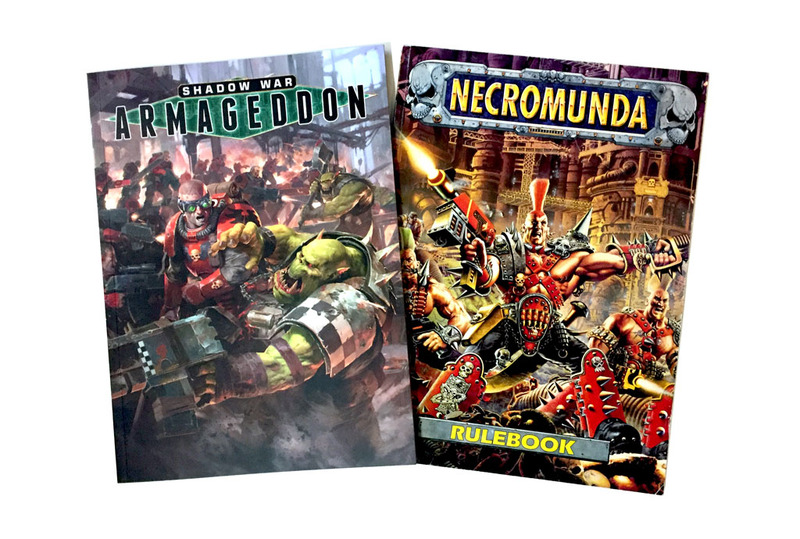 It will be your choice for the other Necromunda gangs as to whether you want to use the simplified Armageddon Resupply phase, or revive the more detailed Trading Post mechanic. It just depends on what level of detail and grittyness you’re looking for. I think in the end a few minutes of modifying some charts is well worth it for the change to have things like Syprers vs Genestealer Cults, or Dark Eldar hunting Skavvies. This is one gaming opportunity where you WANT to cross the streams. Armageddons’s lean & mean campaign system. 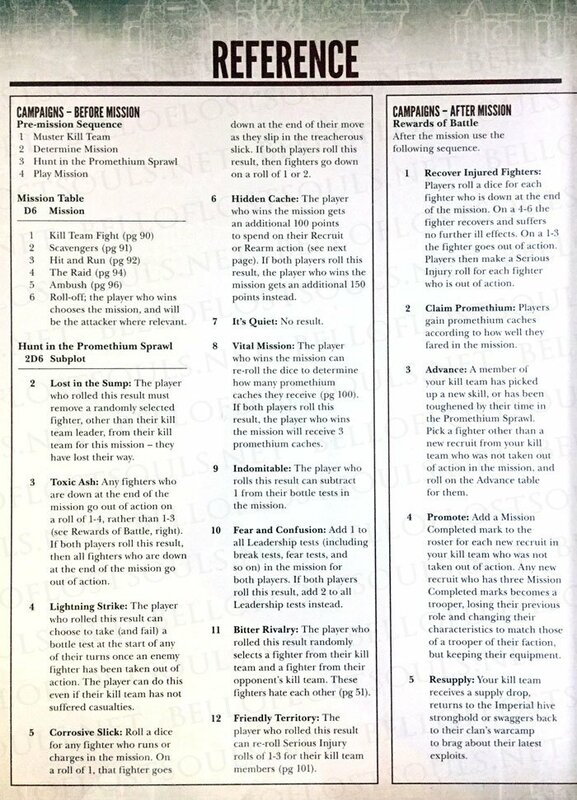 ~Now get planning your next cross game encounters and have no fear. GW is running that factory as fast as they can to crank out more copies of the game – you’ll be able to grab one.